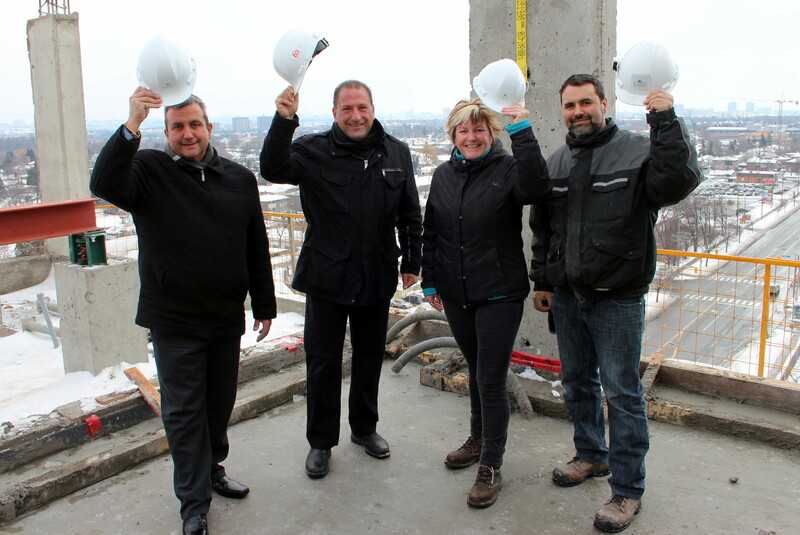 Lash Group of Companies happily celebrated the topping off of Cloud9 Condominiums in Etobicoke. The exterior of the building has been formed and interior work is now underway. Residents will begin moving into the 12-storey mid-rise at the end of this year, however, a limited number of one bedroom, one bedroom plus den, two bedroom and two bedroom plus den units are still available. Priced from $229,990, these open-concept suites will be distinguished by plank laminate flooring, European style kitchen cabinetry, granite countertops, frameless glass showers and spacious balconies. On top of Cloud9 is its esteemed amenities area, featuring an indoor pool, party room with catering kitchen, fitness centre and an outdoor terrace with barbecues, lounge seating, a fire pit and al fresco kitchen. 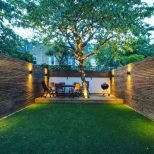 The residence is conveniently located at Kipling and Esther Lorrie Drive, along the shores of the Humber River. 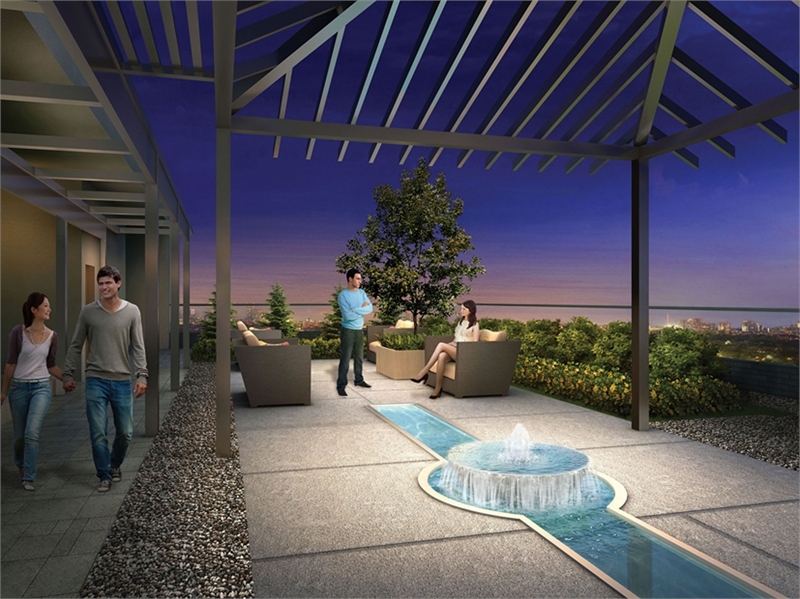 Cloud9 is surrounded by lush parkland, green spaces and a network of hiking trails. The area is home to schools, restaurants, shopping centres and grocery stores. There’s easy access to highways 401 and 427, plus, the Etobicoke GO Station and Union Pearson Express are mere minutes away. Visit the Cloud9 presentation centre and model suite at 60 Esther Lorrie Drive to learn more about the Buyer’s Advantage — receive $5,000 cash back, $5,000 in upgrades, save $5,000 on parking and a locker and pay just five per cent down on your new home. The presentation centre is open Monday to Thursday from noon to 6pm and on weekends and holidays from noon to 5pm. 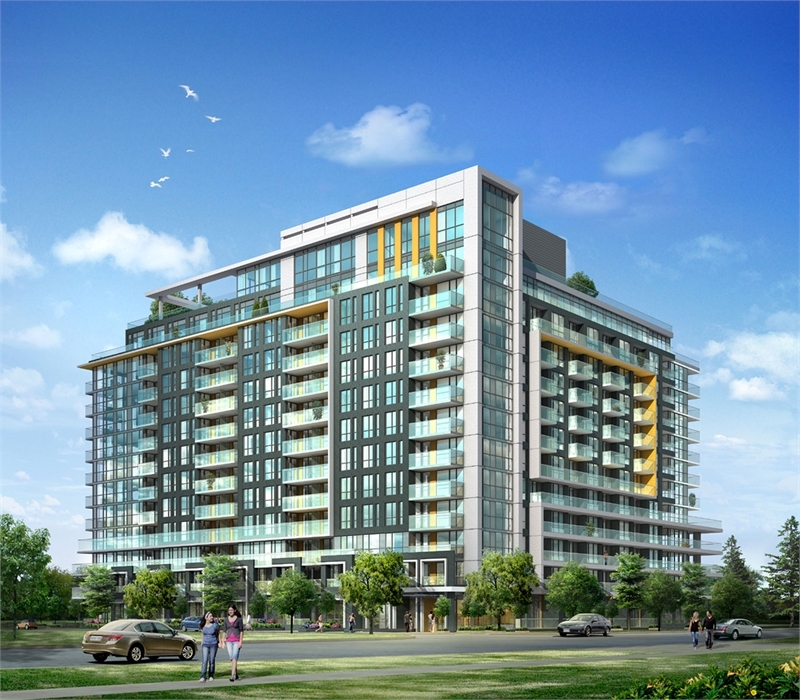 For more information, please call 416 747 0199 or email info@cloud9condos.ca.